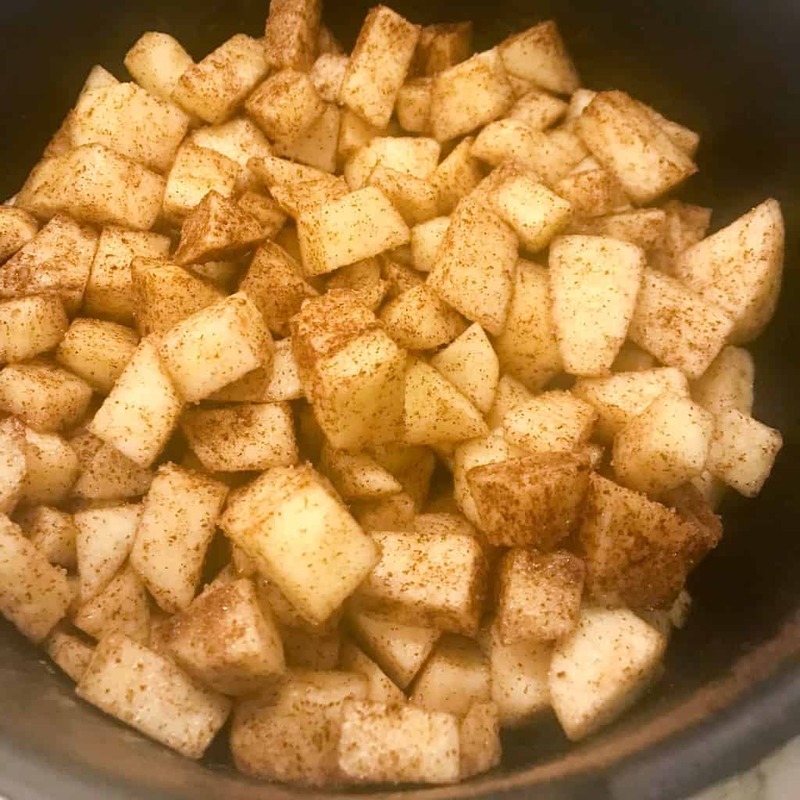 Delicious Apple Cake, made in the Instant Pot, loaded with fresh apples coated with cinnamon and sugar. Makes it a perfect breakfast or dessert cake. 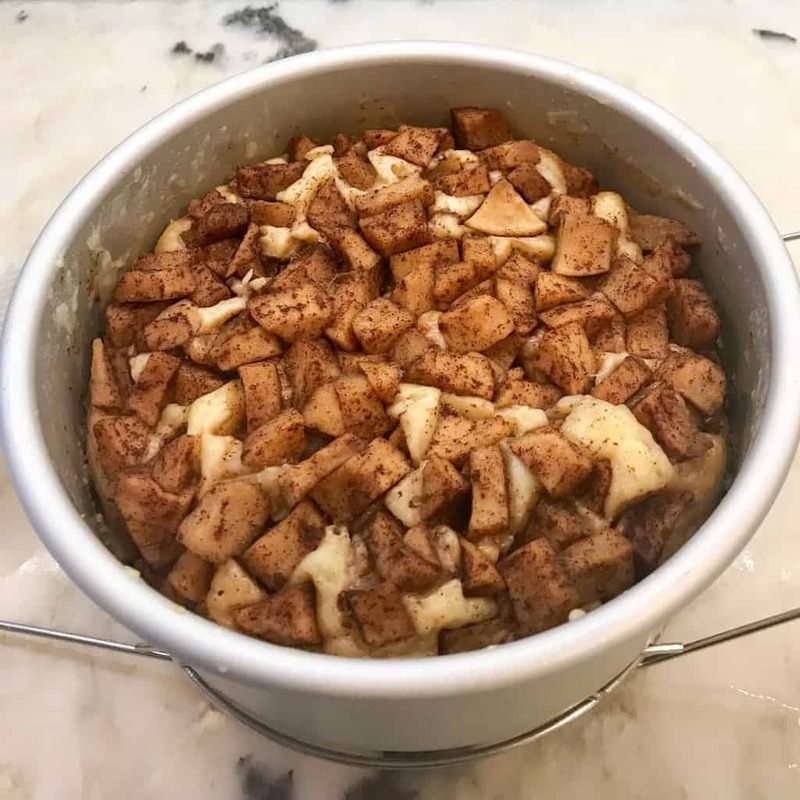 I used my 7-in-1 DUO Instant Pot to perfect this apple cake recipe as I know that is the model most of my followers have. Oct 15th is my second blog anniversary.. Yay!! I have enjoyed the second year of blogging, from going to a self-published blog, to sharing printable recipes and nutritional information for each recipe. Ministry of curry now has a you tube channel with short and to-the-point videos for the recipes, we are on Pinterest, Twitter and Instagram! Oh and the biggest thing we did over the last year is to publish recipes for the state of the art, super sophisticated Instant Pot pressure cooker that I have fell in love with! 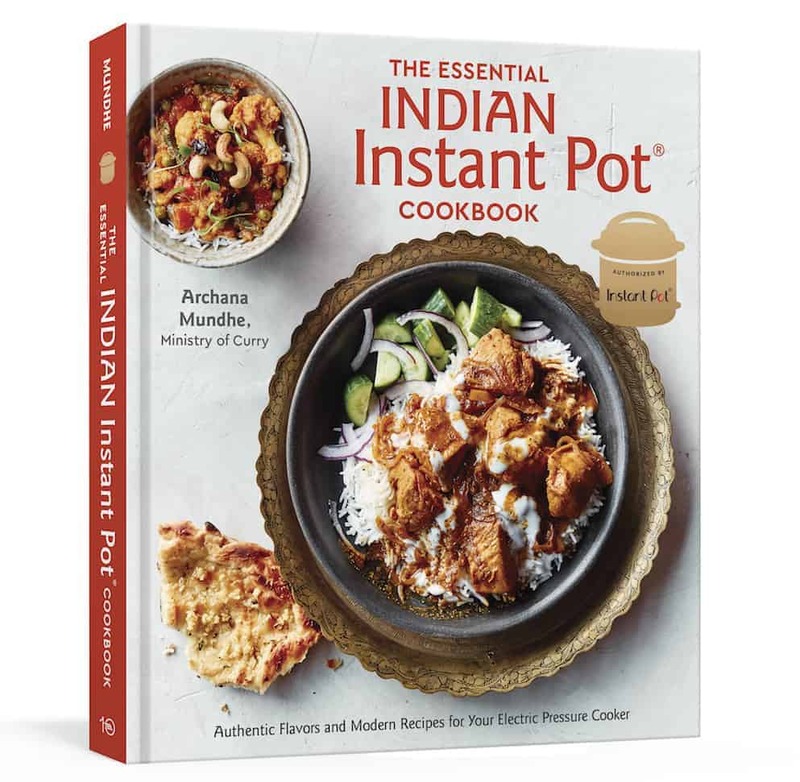 With 80+ international recipes and quick videos to give you an idea of how the Instant Pot works. Cooking for us has definitely gone up to the next level, with healthy and delicious foods cooked faster and with the same authentic taste. More importantly my boys have started to cook using the Instant Pot which makes me so happy and satisfied. We have used our Instant Pot to make soups, chilies, rice, beans, lentils, pasta, curries, yogurt and cakes! And so proud to have show cased the summer berry cake at the Dr.Oz show!! So here is a big shout out to family, friends and followers for your love and support. I couldn’t have done it without you. Thank you! Thank you!! 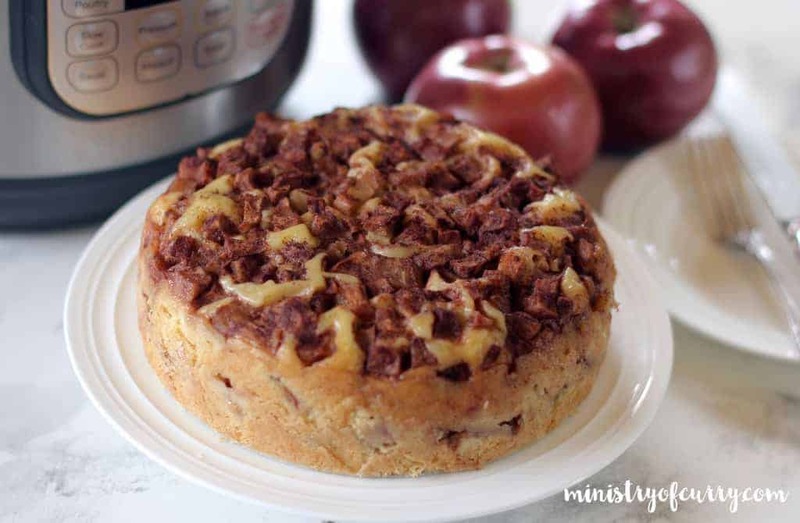 To celebrate the second blog anniversary, here is a delicious apple cake Instant Pot recipe. This cake is a combination of the apple cake that was adapted from smitten kitchen and my summer berry cake. 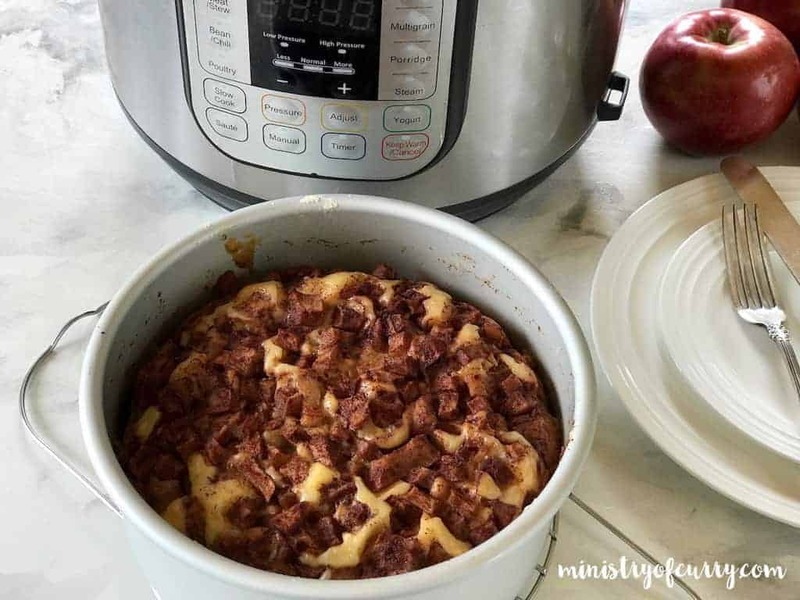 Since I am using a 7″ push pan in the Instant Pot, the original oven recipe is halved and also modified to work for the Instant Pot. After the pressure cooking cycle is completed, allow the pressure to release naturally for 10 minutes. Carefully take out the cake pan and the trivet and allow the cake to cool further. This apple cake tastes even better the next day, which makes it a perfect make ahead recipe. I usually make this cake at night so I have the cake ready to enjoy in the morning. 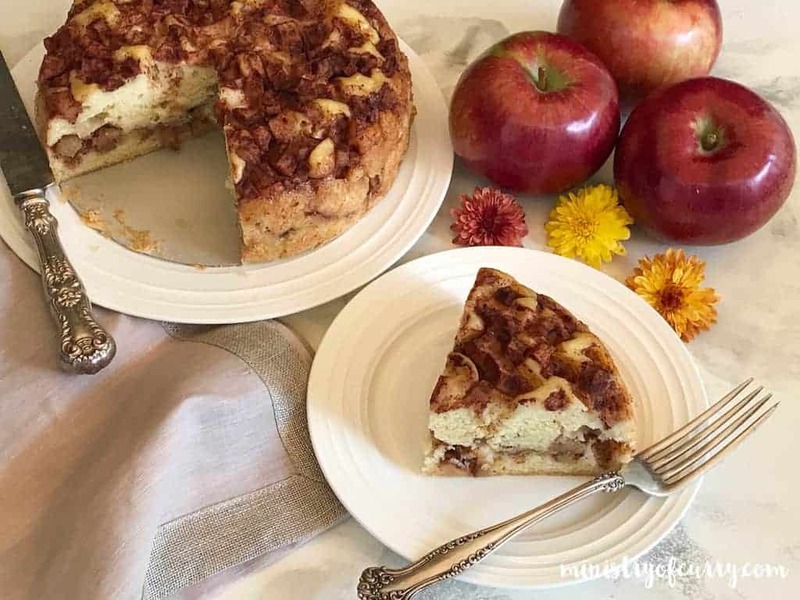 Apple Cake Instant Pot, A delicious cake loaded with fresh apples, lightly spiced with cinnamon makes a perfect breakfast or dessert cake. 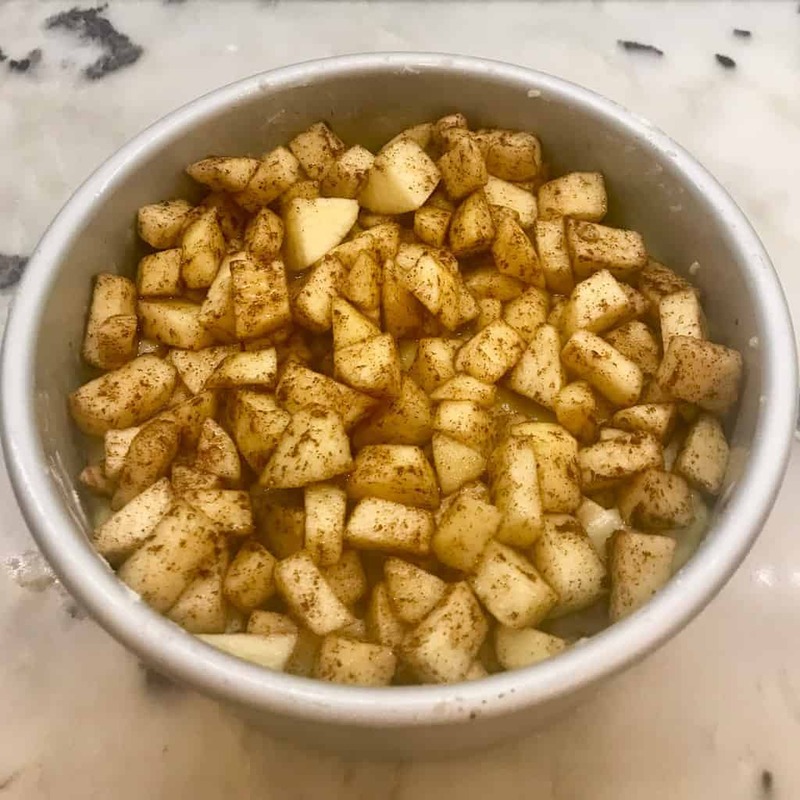 Peel, core and chop apples into small pieces.Toss with cinnamon and 2 tablespoon sugar and set aside. In a large bowl mix flour, baking powder and salt together and set aside. 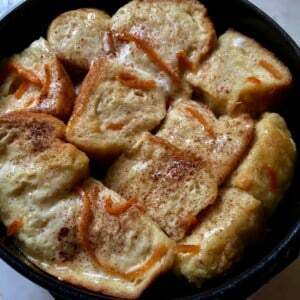 In a separate bowl, whisk together oil, orange juice, sugar, vanilla and eggs. Mix wet ingredients into dry ones; scrape down the bowl to ensure all ingredients are incorporated. This batter is thicker than the usual cake batter. Pour half of batter in the cake pan. Since the batter the thick allow it to spread evenly by gently tapping the cake pan on the sides. Spread half of apples on top of the batter. Slowly pour the remaining batter covering most of the apple pieces. Spread the remaining half apples and any juices on top. 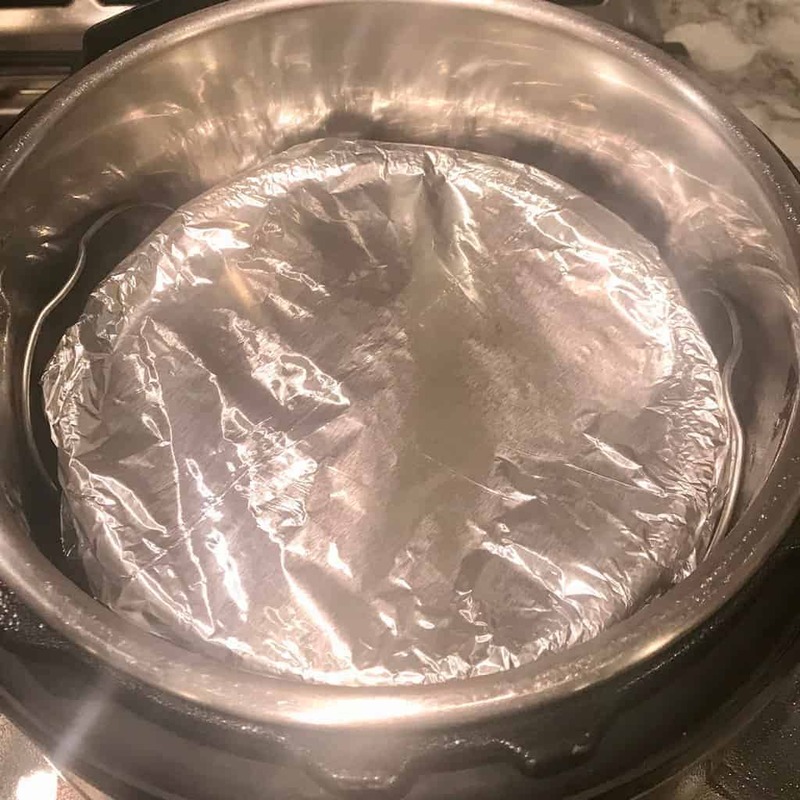 Cover the cake pan with a paper towel and then cover it tightly with aluminum foil. You can skip the aluminum foil by securing paper towel with a rubber band around the pan. Add 1 cup water to Instant Pot. Place the cake pan on the trivet and carefully place the trivet in the Instant Pot. Press Manual(Hi pressure) and adjust cook time to 60 minutes. Allow Natural Pressure release before opening the Instant Pot. Carefully take the trivet out and remove the aluminum foil and paper towel. Allow the cake to cool on a wire rack. Tastes even better the next day so make ahead!! 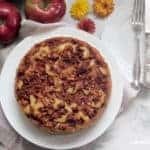 There are so many recipes for desserts and main dishes using apples, love to find a new and fresh idea of making something like this! Thank you for your kind words! We make this cake a lot in the fall and winter. 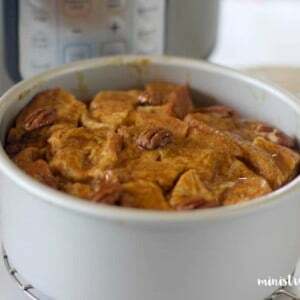 It makes a good holiday treat to share with family, friends and neighbors. Hi Jane, yes it will work. Just add extra 5 mins of pressure cook time. You will love this delicious cake! I just received one of these pots as a gift and am still getting used to it. I hope once I learn to use it properly I will appreciate it as much as you do. Thanks for sharing a recipe I can actually use with it. It looks delicious. Congrats! You will LOVE the new cooking experience. 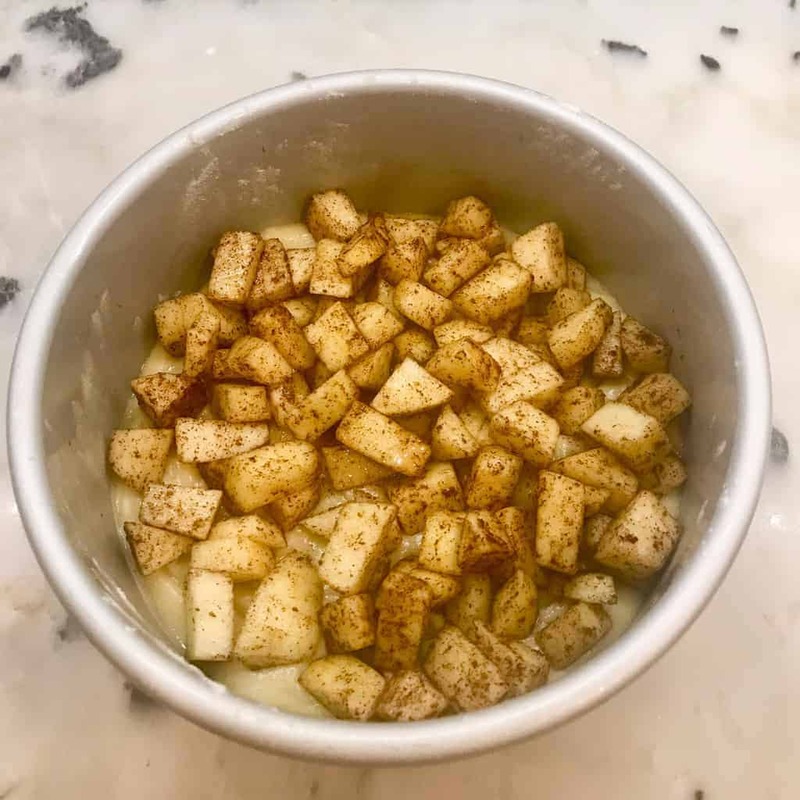 I have a bunch of recipes for you to try! We’ve just had a slice with some custard! A lovely moist cake and the first one I’ve made in the IP. I’ve been loving your recipes! Hi Carol! I am so happy that you tried and loved this cake. I have been making it in the oven but this fall I have only made it in IP! Thank you for letting me know that you are enjoying my recipes. It worked! I made it and it tasted solo good. I used coconut sugar. Awesome! How much coconut sugar did you put? Hi! This looks wonderful! What type of flour did you use? I only have whole wheat…will it work? hi there! will any kind of gluten-free flour substitute work? i want to make this for friends who are GF. How would you alter it, if so? Hi Kerry, I am afraid I have not tried this recipe with gluten free flour. I am going to try this! Do you think a bundt pan would work? Yes bundt pan will work. Grease it well and start with apples then batter and repeat. This way when you take it out the apples will be on top. Also I think 40-45 mins of cook time should be enough for a bundt pan. Thanks so much for your quick reply! I️ am looking forward to trying this out! You are welcome. Let me know how it comes out for you! I’m also going to bake this in a 7” bundt pan but because it’s a higher pan depth, won’t it need additional time instead of less? I’m a bit confused on the timing required to have the cake be throughly baked through. With bundt pan you can cook for same or lesser time since its spread the sides. I have actually always made the smitten kitchen apple cake with apple cider. It tastes so much better! Good morning! The apple cake was my first baking attempt in the Instant Pot.. I had to substitute hard cider as there was no juice in the house. The only problem I encountered: the entire cup of water steamed away and the cake was not done. I added another cup and gave it another 20 minutes, again the water was gone but the cake was done to perfection. Next time I will start off with 2 cups of water and see where that takes me. I may also add walnut pieces to the apples. The cake was wonderful, not too sweet, Nice contrast between the cake and the apples. This is going to become a habit! Thank you! Hi Lee! Thank you so much for your detailed message. 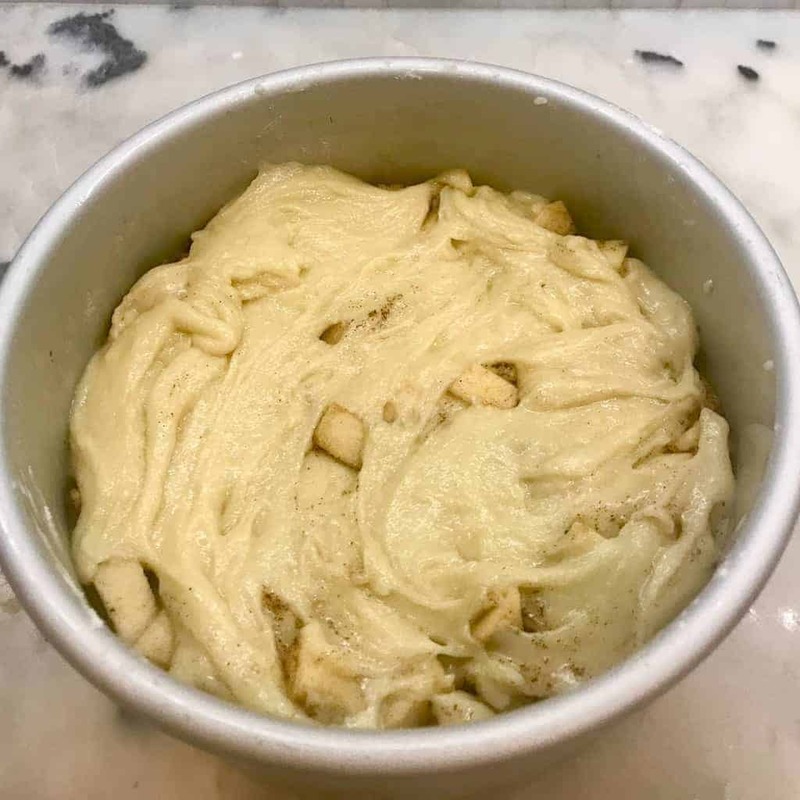 I am happy that you enjoyed the flavors of this apple cake. I am wondering if there might be steam escaping from your IP. Make sure that your sealing ring is all the way in from all the sides. I have baked this cake many times and I never had the water evaporate. Although, I agree just adding extra water next time does not hurt. Was your batter thicker than usual cake batter? I am trying to figure out why it needed additional cook time. Is it just the water in the inner pot or may be the consistency of the batter. Happy to hear that you are going to make this again. Thank you!! Have you ever frozen this cake? I wonder how it would turn out if frozen after cooking. Hi! I have not frozen this cake only because we never have any leftovers. It tastes amazing the second and third day! But If you freeze it on the day you cook, I think it will freeze fine. Great recipe. An additional twist: If you’re not a total fan of the rather dumpling-like consistency you get from the Instant Pot on its own, just pop it out of the baking form when it‘s ready and put it in the oven for 20 minutes at 225C for a post-bake. Provided the perfect finishing touch for me. Hi! Thank you for the lovely feedback and your tip on finishing touches! Hi Archana, I am trying ur recipes once I bought my ip very tasty. Thank you for the easy and tasty recipes. Tomorrow is my daughter birthday I want to try this. Can I make it today keep it in refrigerator will it be good? 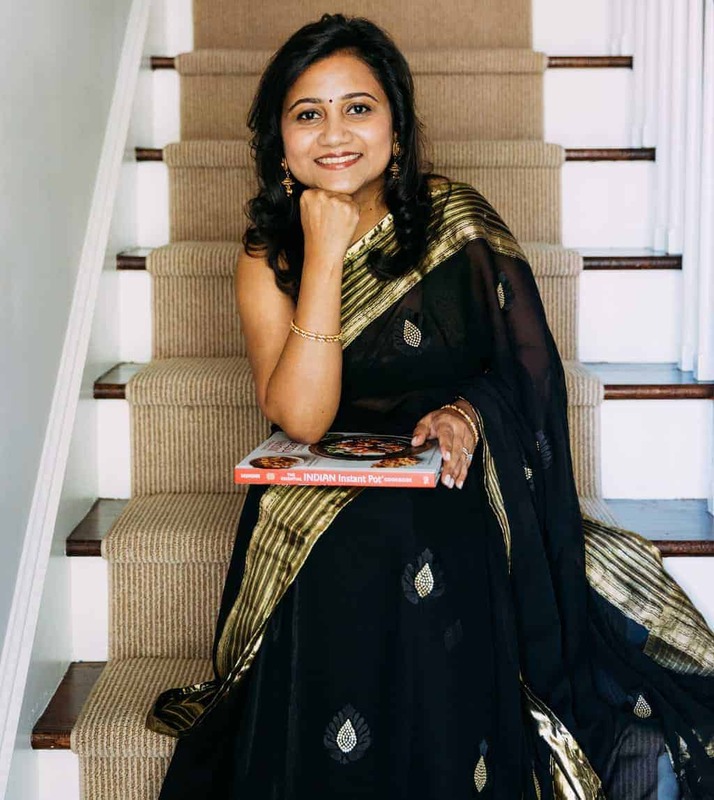 Hi Bindu! Congrats on your IP and happy Birthday to your daughter. Yes you can make ahead. It tastes better next day! Hi, Archana, I have mini molds, would I be able to cook this cake in there in several batches? I also have almond flour, would that be okay to use? Hi Jancy, I am sure you can do both. I have not tried with mini molds or almond flour so I am not sure if the timing and taste. Instruction #9: To cool it on a wire rack do you first remove it from the cake pan? Thanks. Cool it in the cake pan. THank you! I made it today it’s so amazingly delicious! Do I need to refrigerate this? I made it at night and plan to give it to the kid d for breakfast. Hi! The cake looks lovely and I like the fact that its a small batch. Can this be backed in an oven? If so at what temp and for how long? I plan to use my 6″ cake pan. Hi! I would cook on 350 degrees in the oven for 45 – 50 minutes. Check after 30 minutes. Made your cake in the IP. Hated the consistency. Trying it in the oven at 350 in a 6×3 pan. It has been in there over an hour and it still isn’t coming out dry on the toothpick test. Just FYI. Hi, I am sorry but you cannot cook directly in the Instant Pot. It will not come to pressure at all. You can try using a glass pyrex bowl and add extra 5 to 10 mins of cooking time. I agree I have tried that in the oven, but not sure about the Instant Pot. So yes, it seems to work. We just had this for brunch with applesauce in place of the oil. I also used coconut sugar and a little less than called for, but it was still just sweet enough for our household. 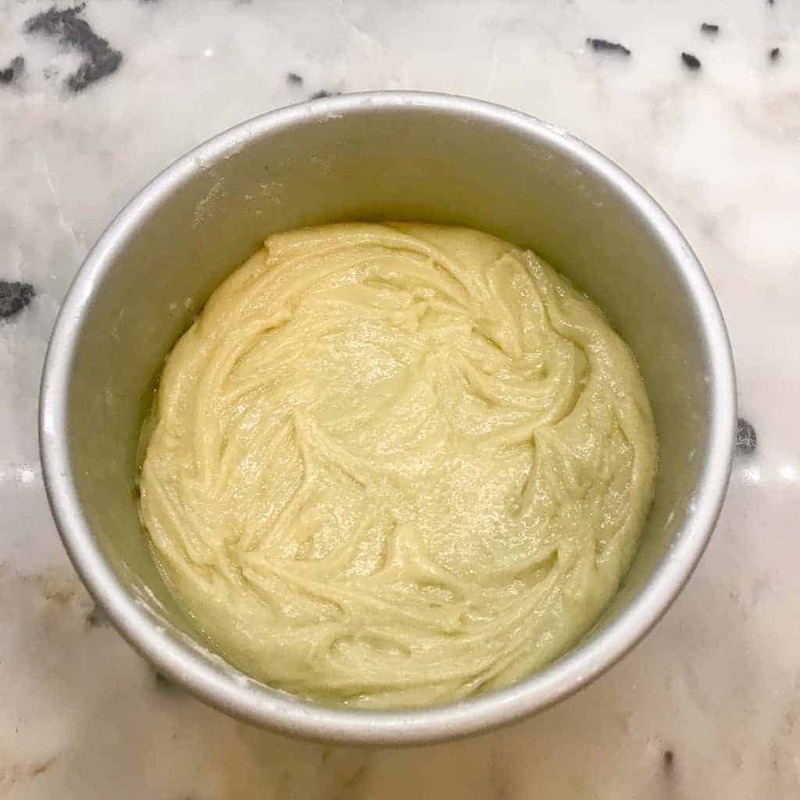 Depending on the applesauce it may make the finished product appear darker in color, but the texture was typical instant pot “cake”. On a side note, I wonder if the cook time could be shorter, 60 minutes seems really long. I have a summer apple tree so it’s not so convenient to heat up my kitchen in June or July. Im really looking forward to trying this when my apples are ready! Hi Lana, Wow fresh apples from the garden sound lovely for this cake. Hello, could i use almond flour instead? Hi Rita! I have not tried with almond four. You may want to try my oven version of the Apple cake instead? and you can use flaxseed powder for eggs. Just google and you will get the ratio of water to flaxseed per egg. 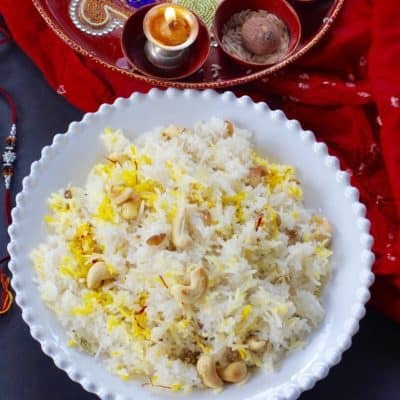 Hi Archana, I have been a huge fan of your recipes! I am eager to try this cake but don’t have any juice at hand – is there anything that be a good substitute? Thank you! You can use apple cider, or simply add 2 tablespoon of water. This is the first cake I have made in my mini Instant Pot Duo. The flavor of the cake was good. However the cake came out very heavy and dense. Is this normal for a cake done in an Instant Pot or not? I used a 6″ x 3″ pan, and cooked it an extra five minutes because of that. What adjustments would you suggest, so the cake doesn’t come out so dense and heavy? I make an almost identical cake to this recipe but baked in the oven. It is a dense cake with a thick batter. yes, I also have a oven version of this apple cake. Hi, first time using ip for baking and it just doesn’t seem to ‘bake’. It comes out still gooey. And I’ve put it back in twice (30 minutes each time) and it’s the same. Any ideas? Hi Bob, I am sorry it is not working out. Usually the initial 60 minutes of cook time is plenty for this recipe. I would suggest to finish it in the oven. Also make sure that your pressure knob is at sealing and that the sealing ring is properly secured. Made one last night, and another this morning to take to our staff meeting – delightful! 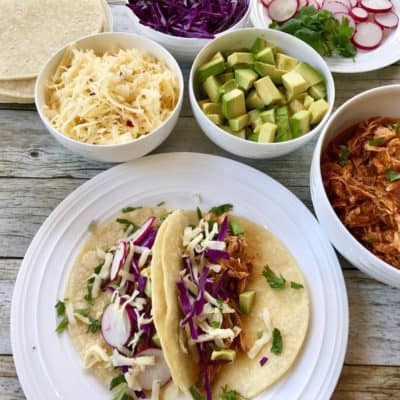 (We were doing an “Instant Pot Challenge” for our lunch, since we all have them but some haven’t used them yet – everything was so good!) I made each of my apple cakes in 6″ springform pans, adding 5 min cook time as you mentioned in a comment to others. I was curious that your preamble comments and the recipe directions disagree about whether to use full natural release or 10 min NR then quick release. I used the full natural release and it turned out just perfect. Moist cakey cake, not gooey at all. Lovely flavor. I used Braggs apple cider vinegar instead of OJ. Covered pan with paper towel, then wrapped it tight in foil, as you instructed. 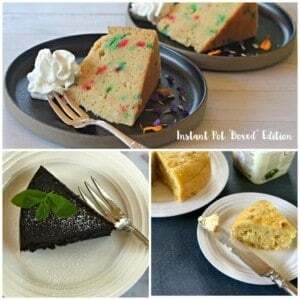 Loved it and will do more cake cooking in my IP – GREAT first IP cake experience! Hi Janine, I am so happy to hear that you enjoyed this cake! Also either full or 10 min NPR works. If you have time constraint you can open after 10 min NPR if not full pressure release.